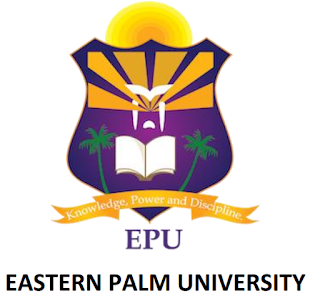 Eastern Palm University (EPU) Second [2nd] Matriculation Ceremony Date, Time and Venue for Fresh/Newly Admitted Students for 2018/2019 Academic Session. All newly admitted students of the Eastern Palm University (EPU) are hereby informed that the second matriculation ceremony schedule of the institution has been released. Attendance at the matriculation ceremony is compulsory for all first year students. Parents, guardians and sponsors of our students and the general public are cordially invited.